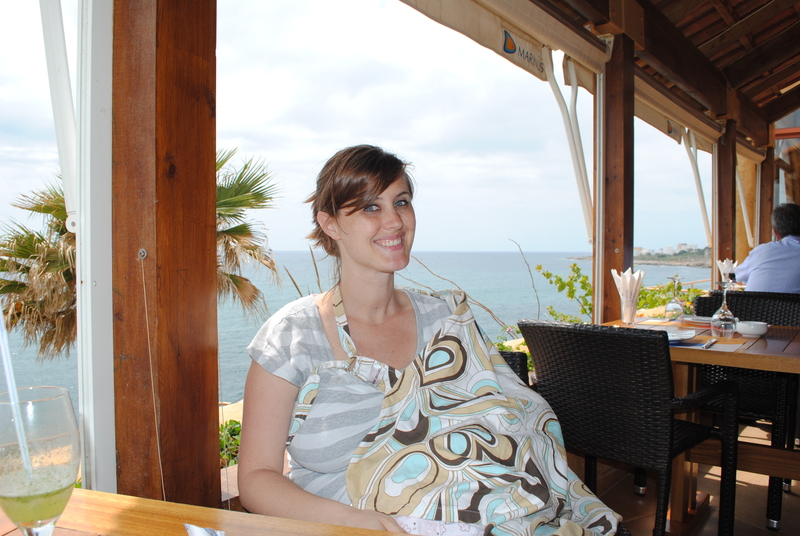 I wrote a couple of posts on having a baby in Beirut when Isla was just a few months old. 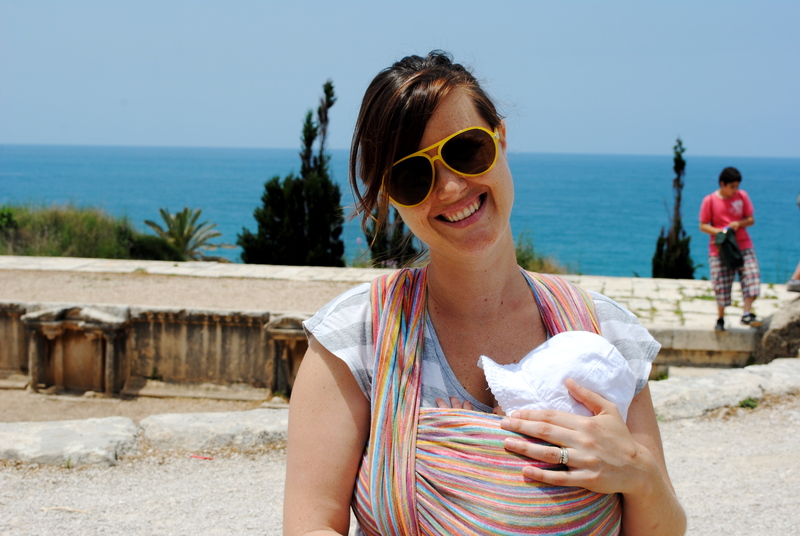 Even though they are a few years old, they are still some of the more popular posts on this blog… the result of many Google searches about traveling to Beirut with a baby. While I still wouldn’t recommend Beirut as a great travel destination for families with small kids, I do see the city as a bit more friendly towards babies than I did two years ago. Part of that may be my growth as a parent, part is likely that I am much more familiar with the city and its culture, and a part of it is how this place has grown and changed since Isla was a baby. There are still no car seat laws. You will see small babies sitting on their daddy’s lap as he drives the car, or wedged between mom and dad, weaving in and out of traffic on their motorcycle. So getting around the city without a car can be tough. Taxis are everywhere and cheap, but it means holding your baby on your lap with a driver who is not likely to be extra careful because of his precious cargo. We have a car now, and seats for both the girls, so I don’t feel the tension as much as I did when Isla was a baby and a taxi was the only way we could get across town. We do still walk more than we drive. And the city hasn’t gotten much more stroller friendly. Dodging cars, huge holes in the sidewalks, and stores and restaurants that aren’t stroller accessible make pushing a stroller feel like a full contact sport. Add to that a walking two-year old… and you can see why I’ve become an ardent baby-wearer. Definitely the way to go walking around Beirut! This also comes in handy if you aren’t comfortable with your baby getting lots of kisses from strangers! Lebanon still has a super high rate of smokers, but there is actually a law going into effect this fall banning smoking in public places! As a result, a lot of restaurants have already either gone smoke free or have divided the restaurant into smoking and non-smoking sections. This was not the case at all a few years ago, when you were pretty much guaranteed a side of second hand smoke with every meal. Speaking of restaurants, I’ve only seen one that had an actual changing table in the bathroom. Which means you change your baby on the seat where you are eating (gross!) or the floor of the bathroom (grosser!). Actually, Ruby is still pretty small, so sometimes I’m able to fit her on the counter if there is one next to the sink. I guess if you have a stroller you could change baby’s diaper there. The Beirut Souks downtown as well as the malls have changing tables in the bathroom, which is nice. So, is Beirut a baby friendly city? Eh, not really. But, if you are here and you have a baby, there are ways to make it work! Ruby by the month – 2 months! Yes I haven’t seen a single person breastfeeding here either. But no one ever seems to notice I do it all the time in public (even without a pretty cover-up like yours). I think Lebanese mums with small babies don’t go out as much either, they are more likely to either receive a lot of visitors or spend time at the homes of family. Maybe they don’t go out because they are breastfeeding! Then again bottle feeding is very common. Btw I’ve noticed restaurants out of town are more likely to have changing tables. And you are definitely right about moms staying home with their young babies. Or at the least, they leave the baby home with Teta if they do go out when he is still small. Thanks for an insightful post! Having only arrived in Beirut recently, breastfeeding in public was the very first conundrum to deal with.Too shy to feed my son in public, we’d make regular trips to restaurants to feed him in the toilet! Oh, mama! I’m sorry you’ve been stuck feeding your baby in the bathroom!! Bathrooms here are usually in the basement and so stifling hot!!! I totally understand being shy to nurse in pubic. Like I said in my post, I rarely, if ever breastfed my older daughter anywhere but the car, bathrooms or at home. I thought everyone would stare. But as I’ve gotten more confident (chalk it up to BFing my first for 2 years and being on baby #2), I’ve discovered as long as you are discreet, no one cares!! The trick is definitely the stretchy vest top + roomy T-shirt combination. Works a treat if they are of a similar colour. I swear people think she\’s sleeping. Vest top down, T shirt up, everything stays covered. Sorry for spilling into mum-talk here!